DAMNED ACCOMPLICES LAUNCH NEW VIDEO! 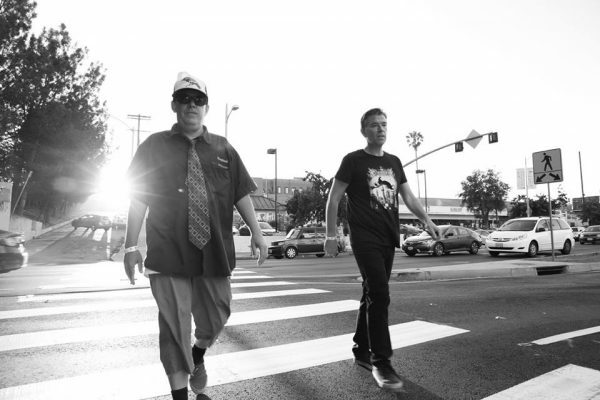 L.A. band PROFESSOR AND THE MADMAN have just unveiled a first video from their new album. As previously reported, the band features co-frontmen Alfie Agnew (Adolescents, D.I.) and Sean Elliott (D.I., Mind Over Four) alongside former DAMNED drummer Rat Scabies and current Damned bassist Paul Gray. Both Scabies and Gray appear in the video for ‘Space Walrus’, a psych-pop nugget inspired by David Bowie’s ‘Space Oddity’. Produced by English producer David M Allen (The Cure, Sisters Of Mercy, The Damned), ‘Space Walrus’ comes from the album Disintegrate Me which is due out on 23 February. It’s available to pre-order here. ‹ J.D. HANGOVER ANNOUNCE U.K. DATES!